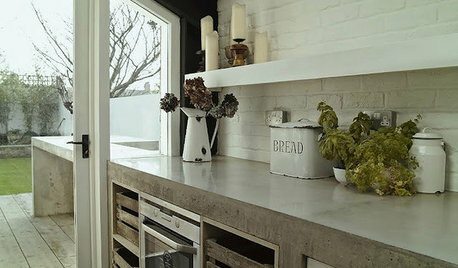 What type of counter tops are these? Hi there, any luck finding this image? 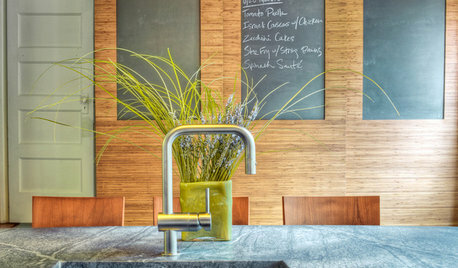 Did you try searching in the Photos stream on Houzz yet? 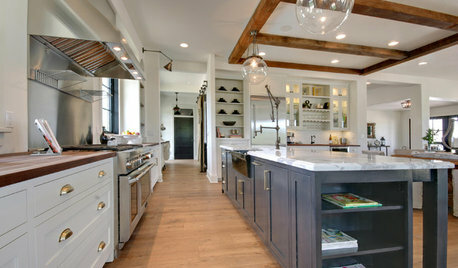 Maybe trying a few keywords like "blue granite kitchen" or "maple cabinets"? Help on kitchen counter top. 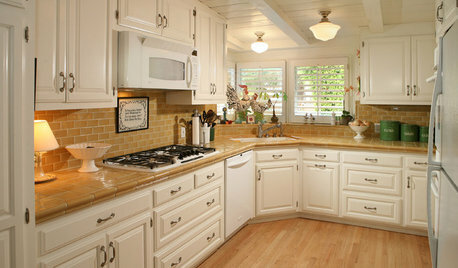 Granite has to be sealed and has more of a natural look. 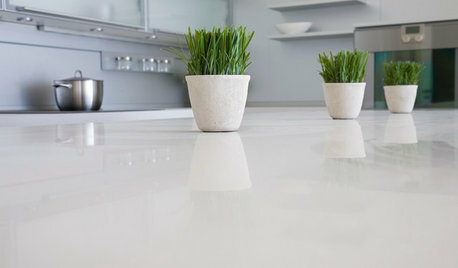 You can get quartz with a natural look but those are pricey. Quartz never has to be sealed and has a much cleaner look to it. I have granite and I would prefer quartz. 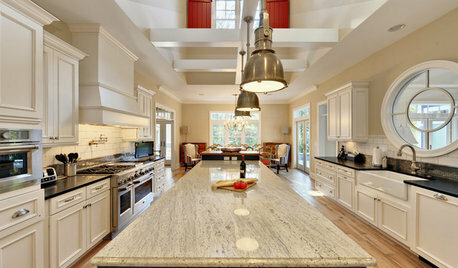 Granite can absorb oil,water and stain with acidic food items. 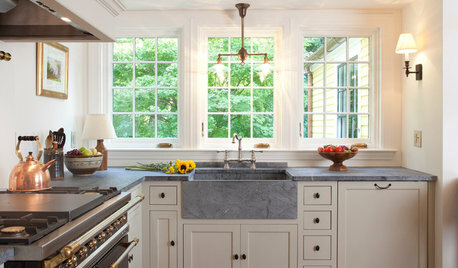 Choosing a kitchen countertop that can resist in a seasonnal cottage! 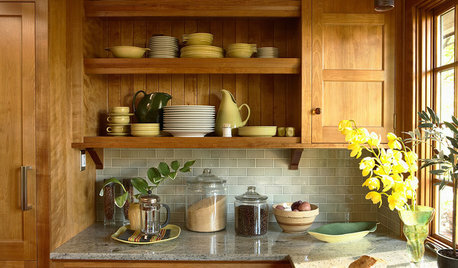 An unfinished butcher block top may warp in extreme temperatures if not adequately maintained; however, a furniture finish would protect it as well as any material. 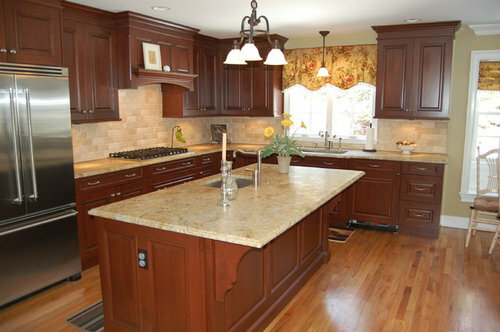 We at Swain Customs specialize in butcher block countertops, and would be happy to send you a quote for your project, free of charge. Happy renovating! 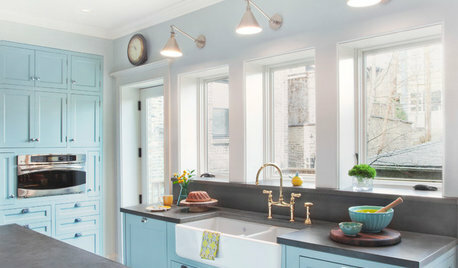 I would suggest checking with your local home improvement stores, stone yards, and search online for companies that provide countertops in your specific area. When asking for prices, you will need to have your measurements handy. 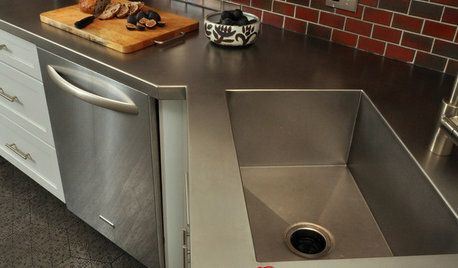 Draw your countertops out on paper with measurements.